Governor Rotimi Akeredolu of Ondo State has made an audacious move to boost economic activities of the Sunshine State by creating a viable route to the financial hub of Nigeria, Lagos. Air Peace, Nigeria’s leading carrier, is to begin flight operations to Akure, the capital of Ondo, Southwest Nigeria tomorrow. According to the airline, the maiden flight into Akure Airport will take off by 1 pm from the Murtala Muhammed Airport, Ikeja and touch down at Akure Airport at 1:40 pm. A statement issued by the Corporate Communications Manager of the airline, Mr Chris Iwarah, said the airline was collaborating with Governor Rotimi Akeredolu's administration to guarantee easy access to Ondo State by investors, tourists and other categories of air travellers. Iwarah also said that the return flight would depart Akure Airport at 2:10 pm and land at Murtala Muhammed Airport in Lagos at 22:50 pm. The airline stated that the Akure flights would open up a whole new opportunity for Air Peace guests to visit and explore the wealth of tourist attractions in the state as well as expand the access of investors and other categories of air travellers to connect with the state. 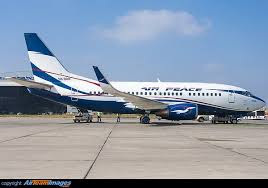 Air Peace, which commenced commercial flight operations to a record five destinations in 2014, currently has a presence in Lagos, Abuja, Benin, Uyo, Port Harcourt, Calabar, Enugu, Owerri, Sokoto and Accra-Ghana.